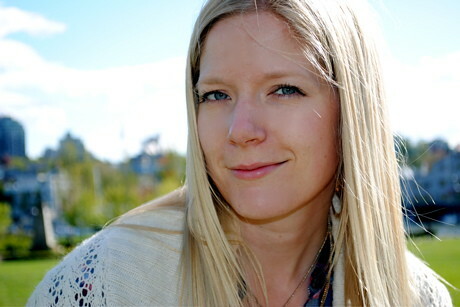 On my recent trip to Ancient Cedars Spa in Tofino, I spent some time perusing the products for sale. On the top shelf, I noticed a photo of a widely-smiling lady in knee-high rubber boots hauling seaweed along the beach. I asked my spa therapist about the products collected around the photo and was told that the line was called Seaflora. And the lady? 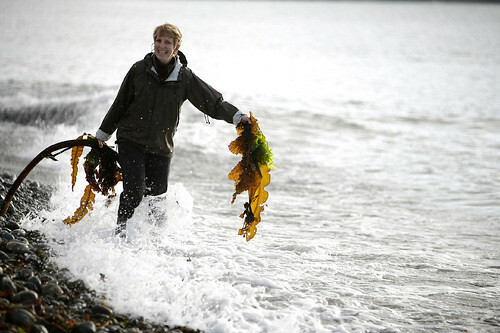 That’s Diane Bernard – the woman who developed Seaflora based on her passion for and roots in the local coastline. What piqued my interest was learning that not only is Seaflora developed from certified organic wild seaweed, but that it’s harvested and produced in the seaside community of Sooke on Vancouver Island! That in itself was enough to convince me that it was well worth a shot, so I made sure that their facial skin care line was on its way to my mailbox. Let me preface this by saying that my skin is far from perfect. The tone is uneven with red blotches here and there and I am certainly not exempt from adult acne and a shiny t-zone. 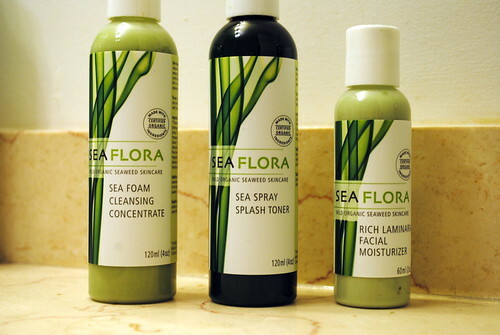 I’m always skeptical when I try new product lines, but Sea Flora promises gentle cleansing while naturally creating a balance. I started the routine with Sea Foam Cleansing Concentrate, used the Sea Spray Splash Toner to unclog my stubborn pores and followed up with some Rich Laminaria Facial Moisturizer. What’s great about each of these products is that because they use such natural ingredients that they’re well-suited for almost any skin type. The key organic seaweed component is chalked full of vitamins A, B, C, D, E, and K while also boosting my skin with compounds of laminarin, alginate and fucoidan, antioxidants and essential amino acids. The absence of unpronounceable chemicals means that Seaflora is scented more like the ocean from which is comes, and there’s no “tingle” that hits you after washing, but slathering a safer product on your skin is far more invaluable in the long run. I appreciate that Seaflora is simple to use and multi-functional. The cleanser also removes eye make-up and the toner can be used as a men’s aftershave. After several weeks’ use, is my skin suddenly perfect? Definitely not, but I can’t deny the difference I’ve noticed. My breakouts have since dwindled a bit and the overall tone of my skin has been nothing short of remarkable. You can learn more about Seaflora on their website or shop the extensive Seaflora line in their online shop. You can also “like” Seaflora on Facebook or follow Diane Bernard – The Seaweed Lady – on Twitter. If you have a Vancouver Island-based product or business that you feel would be of interest to Vancouver Island Blog readers and could be featured as a future Island Profile, please contact Keira-Anne directly. At first when you let me try the line, I wasn’t sure I liked the feel or smell on my skin…but by the morning my skin felt fantastic! I would definitely use this on a regular basis.